All of the things you need to look your best at your next black tie gala. Find ideas for Celebrity Gowns, Couture and Evening Gowns. We have women’s evening dresses in a variety of fits, colors & elegant styles, both modern and vintage looks. Add some Beautiful Jewelry, Gloves, and Shoes to look like a million dollars. 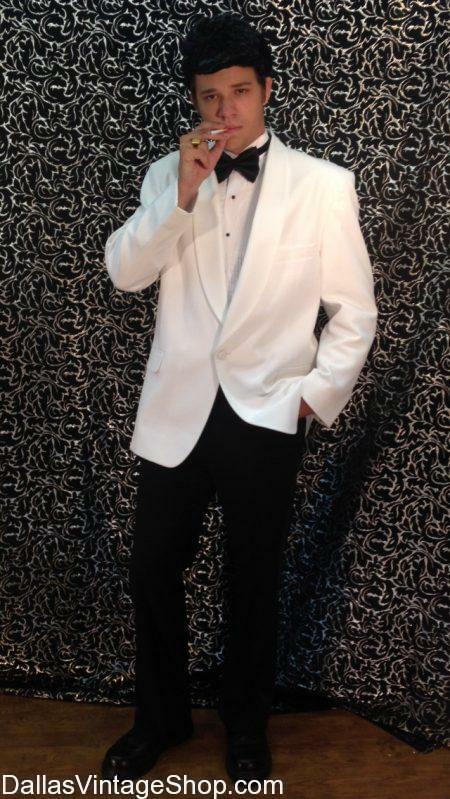 White Dinner Jackets are coming back into style as Gala and Black Tie Men’s Formal Attire. The phrase “Formal Attire” doesn’t just mean suits and ties for a Gala Ball. No, it means a much higher dress code. At Dallas Vintage Shop, you can find Formal wear for men from Modern to Vintage and any ideas in between. For men, formal attire changes by the time of day and here at Dallas Vintage Shop, we’ve got you covered, whether you need a Tailcoat and Vest or a “White Tie” Outfit. Find full outfit along with Great Accessories like Cuff Links, Ties, and Shoes to fit any request! You can’t go wrong with a beautiful, fitted black dress when looking for something formal and modern to wear to a fancy gala ball. Dallas Vintage Shop not only has thousands of Vintage Gala Gowns, but also has a number of more Modern Gala Attire for a Fun Masquerade Gala Ball or even a Prom or Homecoming. 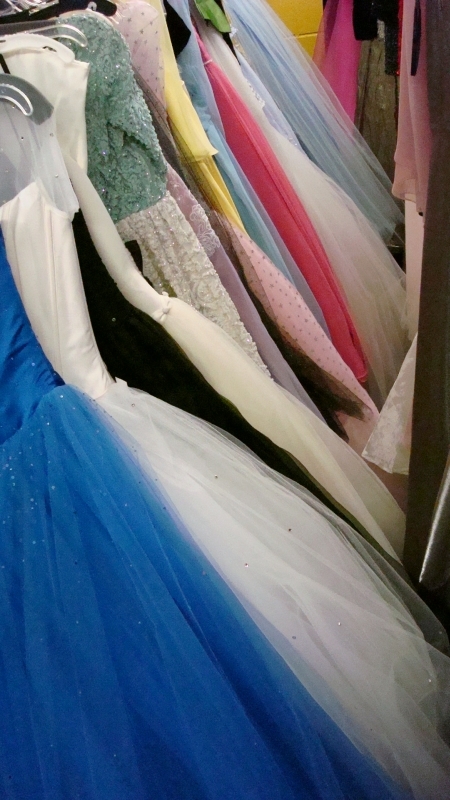 We have Gala Ball Gowns, Prom and Homecoming Formals, and Prom Dress Ideas for any occasion. We have all the Prom, Gala, and Homecoming Accessories you need to complete the look you want. Fancy Wraps, Beaded Shawl, Velvet Beaded Shawls, Vintage Shawls, Formal Wear Shawls, Sequin Shawls, Lace Shawls, Etc. Rhinestone High Heals, Rhinestone Sandals, Formal High Heals, Fancy Vintage Shoes, Elegant Shoes, Etc. You are in Gala Balls category.